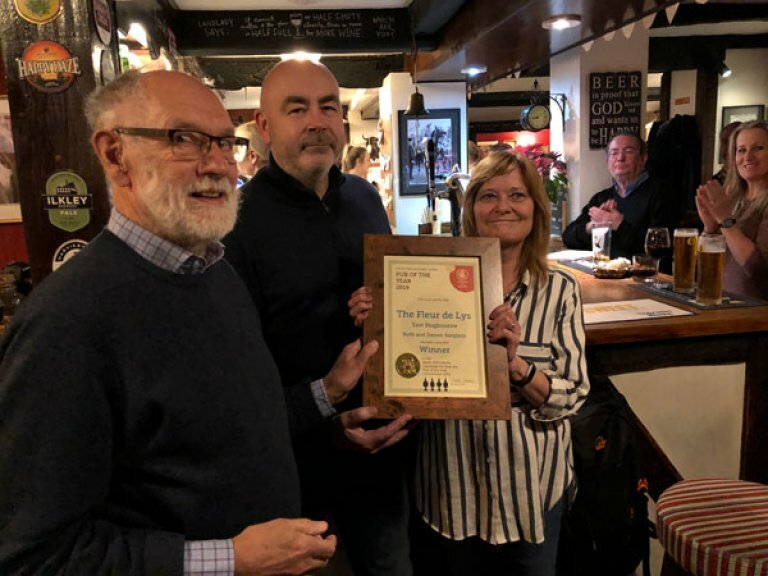 South Oxfordshire CAMRA's Pub of the Year for 2019 is the Fleur de Lys in East Hagbourne. The picture shows Ruth and Darren Sargison of the Fleur receiving the award from SOX Chairman David Cooper. The presentation was made last Wednesday 20th March in a packed pub, where, as well as hosting the CAMRA Award presentation (David Cooper, Paul Dixon, Bob Smith, Graham Hards, Mark Lewthwaite, Barry Davis, Vaughan Machin were in attendance from the Branch), Ruth & Darren were also running a folk music evening, a crib league match and a birthday party or two – in addition to serving six ales all in superb condition! Congratulations to you both!